All good things must come to an end one day, but apparently some people didn’t get the memo. Recently there has been a huge money making opportunity within the filmmaking industry, and it seems to be a trend of turning things into a live action movie. What do I mean you wonder, well think about it for a second. There are movies such as Dumbo, Aladdin, Detective Pikachu, Sonic The Hedgehog, The Lion King and even Dora the Explorer that are all going to be live-action movies. Most of the movies that are coming out seem to be an attempt to reboot their respective franchises. 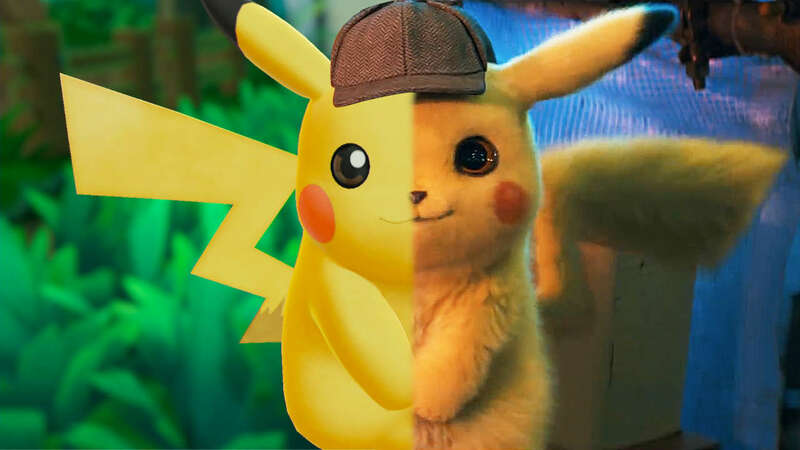 Like Detective Pikachu for example, was based on a game with the exact same name which was released back in 2016. The game is over 3 years old now, and was only meant to be a spin-off Pokemon game. Dora the Explorer, the originally started as a children’s cartoon back in August of the year 2000, and ended in 2014. They are trying to bring back a series that has already ended over 5 years ago. Even the Lion King and Dumbo came out almost over two decades ago. And the Lion King was originally based off of Shakespeare’s Macbeth. Honestly, the things they chose to turn things into a live action movie left many people despondent with what is left for these franchises. Sega had honestly already been shooting itself in the foot when they decided to create Sonic Forces, and Sonic Boom. Both of which seemed like very strange spinoffs. In Sonic Forces they decided to try something new, and let the player create their own character, who would be the main character for their story. Sonic Boom, is a spinoff in which the characters (Sonic, Tails, Knuckles, Amy, Dr. Eggman, etc.) are grown up or look much older than the previous versions of the characters. Pokémon just do whatever they want honestly, they never follow a set story from game to game. Detective Pikachu was one of the first games in which they actually have a set story, and an actual plot. However no matter how hard they try, some things just can’t be turned into live action no matter what. Take Dora the Explorer for example, it was a children’s show that basically to teach children some Spanish. Now they are making an entire live action movie for it where Dora’s parents get kidnapped and she has to find a city of gold. When the trailer was released there was one thing that triggered some fans. The character Boots, a monkey and Dora’s best friend, wasn’t wearing his iconic red boots. So in the end, do we just let these big movie franchises create live-action movies? Or do we not allow them to do it in order to preserve the greatness of old 2D cartoons or shows? My name is Shams, and I write for the Arts and Entertainment section. The reason for this is that I can go on for ages talking about the things I enjoy the most anime, mangas, and video games. Considering that all of these things are a form of art and entertainment I found it fitting that I write for the Arts and Entertainment section.